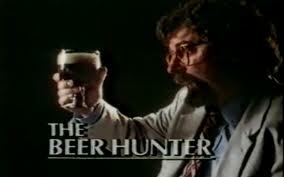 Here’s an event I’m excited about: There will be a showing of a new documentary about beer aficionado/evangelist Michael Jackson, whose television show “The Beer Hunter” helped turn the world on to craft beer. The author died in 2007, but his legacy as a beer writer continues to inspire people like… well, me. On Oct. 3, at the Spotlight Theatres (39 Front St., Hartford, Conn.), not only can you see the film at 6 p.m., but you can stay for a beer tasting starting at 7. There will be local beers from Back East and Two Roads, as well as Brooklyn and Blue Point. For information about the film, go to the Beer Hunter website. This entry was posted in Beer Snob and tagged Chad'z Beer Reviews, Michael Jackson. Bookmark the permalink.